Molly Appleby is a young writer for Collector's Weekly, and when the attractive reporter isn't covering auctions and antique shows all over the South, she's trying to get her new relationship with a coworker off the ground. When her latest assignment takes her to North Carolina pottery country to cover an exclusive kiln opening, she's certain that the show promises surprising offerings and rare finds. What she doesn't expect to find is a dead body. George-Bradley Staunton is known throughout the antiques world as a very wealthy and very ruthless collector, and when he drops dead just after the opening, there are all too few mourners and a seemingly endless list of suspects. When the local police are stumped, Molly steps in to put her journalist's nose to work sniffing out the culprit. 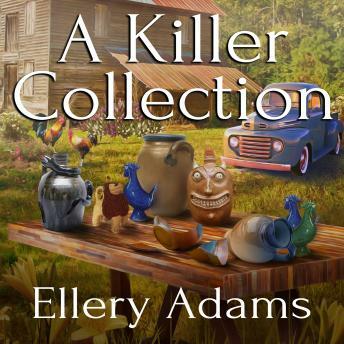 But no sooner does she start collecting clues than another dead body falls into her lap. As Molly digs beneath the genteel surface of antiques and collectibles, she finds a world filled with backstabbing and competition, and what started as a story about rare collections might leave Molly with nothing more than a collection of corpses.